It’s interesting. I choose books to fulfill a category in the challenges I am following. I don’t choose them because they are about World War II. But I have ended up reading several of those. They have also taught me a lot about the war that they don’t teach you in school and even though I know they are historical fiction, I can feel their pain in every one of them. 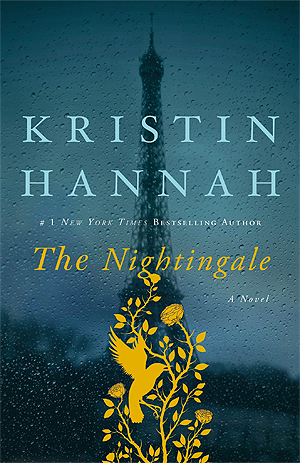 My favorite book last year, The Nightingale, was centered around Germany occupied France and two sisters that had different experiences with the war. The Book Thief takes place in Germany and what it was like to harbor a Jew and live under different conditions than normal. Even though it was their war, Germans were still greatly affected. I also read Letter from Skye, At the Water’s Edge, Hotel on the Corner of Bitter and Sweet, The Guernsey Literary and Potato Peel Pie Society, and Code Name Verity. I started to read The Zookeepers Wife but it got moved to the back of the pile for this year’s prompts. I also had The Women in the Castle on last year’s list, but never could find the book. For this years prompts, again not choosing them because of WWII, I have Lilac Girls, All the Light we Cannot See and The Alice Network, and just found some others I might have to add to my To Read list for later. 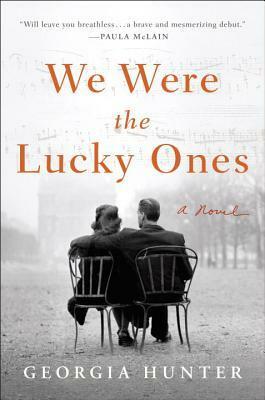 I did just finish reading We Were the Lucky Ones. And WOW. My favorite book this year so far (I’ve read 12). It is about a family of Jews in Poland. That survive. There are 5 siblings in the family and the book is written by the granddaughter of one of the siblings, in the view point of the family members themselves. I just can’t even fathom what the world did to the Jewish people during (and after) WWII.